Choose a lesson slot that you can keep to each week (keeping to a continuous structure will speed up the learning curve). I recommend 2 hour sessions (as this is so much more beneficial for learning and understanding to take place than a 1 hour lesson). 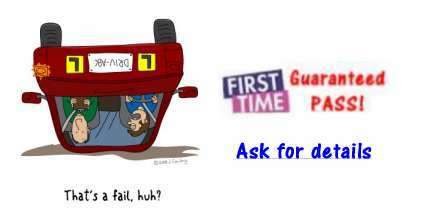 Ask me your driving instructor lots of questions (I love helping you out to find the answers). Every lesson will have a definite ‘recap’, ‘objective’ and a ‘summary’ rather than just driving around aimlessly not knowing what you are doing. Regular ‘recaps’ will be used to check your level of understanding and knowledge gained. A ‘debrief’ at the end of each lesson and ‘next lesson plan’ will be arranged. Working together as a ‘team’ will get you your driving licence for less cost. I can teach you all the knowledge and skills required to pass your practical driving test, however, at the end of the day it is down to YOU! If you don’t put the effort it we wont succeed. In my professional position I will inform you when you are ready to book your practical driving test. If you have not reached the required standard set out by the Driving Standards Agency (DSA) to pass the practical driving test I will not let you use my car for the Practical Driving Test, this in no way prohibits you from using another car if you so wish. Terms: Must be a beginner with no or little experience or a long gap between your last lesson. Terms: first hour free when booking a two hour lesson, normal rates apply for the second. If after the 2hrs you want to upgrade to the 10 lessons for £155 that’s not a problem. It very important you get on with your Instructor, you will be spending a lot of time with him/her. Before you hand over a lot of money to other Instructors ask if they offer this option, or do they want your money as soon as you enter the car! terms: get 3 lots of 2 hour lessons at the beginning of your training for £155 and the last 4 hours at the end of your training. Normal lesson rate below charged in between from hour 7 until your last 4 hours at the end of your training before your practical driving test with my car, i.e. 2hrs the week before your test and 2hrs on the day of your test. Terms: first hour free when booking a two hour lesson, normal rates apply for the second. It very important you get on with your Instructor, you will be spending a lot of time with him/her. Before you hand over a lot of money to other Instructors ask if they offer this option, or do they want your money as soon as you enter the car! Two hour lessons in MK £60.00 I recommend 2 hours lessons if you really want to pass quickly! GIFT CARDS FOR CHRISTMAS, SPECIAL OCCASIONS AND BIRTHDAY LESSONS. I offer £10 gift cards for special occasions, as well as 17th Birthday lessons as a priority. If you would like a lesson on a birthday or for a special occasion please do not hesitate to call me. Gift cards can be used towards special offers or hourly lessons.